Erin Elizabeth Swezey, 20, spent her last night with her family shopping for her 14-month-old nephew’s Easter outfit. The Oklahoma State University student then had a late dinner with her family before leaving about to visit her boyfriend, a Mustang church worship leader. Erin wouldn't be home again for a couple of weeks and her parents told her it was OK to go. "Erin was always joyful, no matter what the situation, and her bright smile and contagious laugh always encouraged us"
After a short visit she got in her car and headed back home. She never made it back to her family’s home in Edmond. Erin Swezey was eastbound on Kilpatrick Turnpike near Meridian Avenue when her car was hit head-on by a sport utility vehicle. The other driver was traveling west in the inside eastbound lane, the Oklahoma Highway Patrol reported. The medical examiner later determined the other driver, who also died, had a blood-alcohol content of .29, three times the limit to be considered drunk. Erin Swezey was a sophomore studying architectural design. 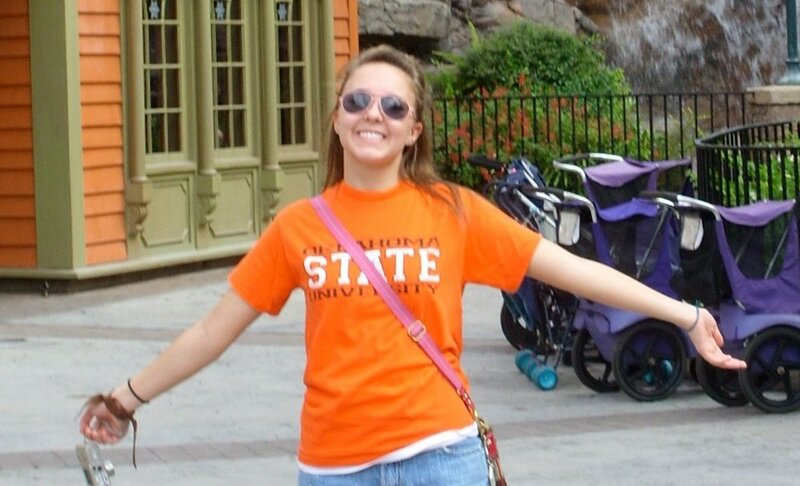 She was a member of the OSU choir and member of Sigma Phi Lambda, a Christian women’s sorority. A rose and a picture of Erin Swezey now sit in her desk in choir class on the Stillwater campus, where students this week were wearing orange ribbons in her honor. On the UCO campus in Edmond, Keith Swezey’s students were wearing royal blue ribbons in memory of the professor’s daughter. Sigma Phi Lambda members will be dedicating their April 23 Amplify concert to Erin Swezey (the concert is still dedicated every year to Erin and the Erin’s Hope Foundation established in her honor). Erin Swezey sang in the youth choir and was a member at Quail Springs Baptist Church in Oklahoma City. Erin Swezey sang in the choir at Edmond Memorial High School, where she graduated in 2007. While in high school, she sang with the group Forgiven at churches throughout Oklahoma. Her father described his daughter as shy, and said she didn’t like to talk to a crowd of people. But when she began singing no one would know she was a shy person. Her family and friends called Erin Swezey a dedicated Christian. Erin had a passion for architecture. Below are a few of the drawings she was working on before her death.